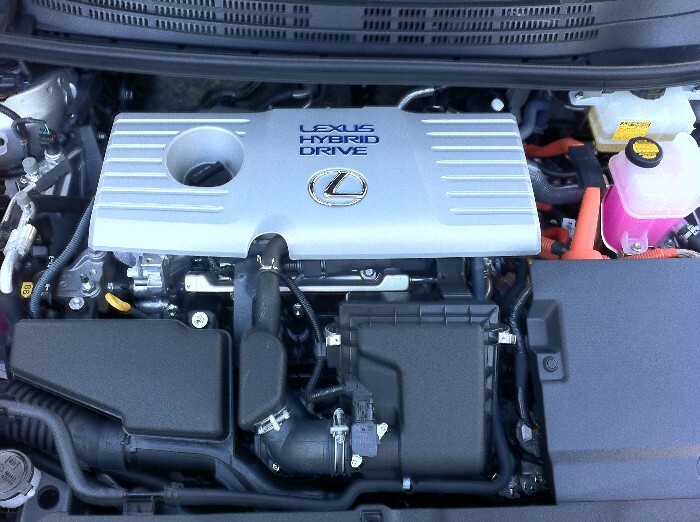 Lexus has a new hybrid vehicle being readied for market and let me begin by saying I wish them more luck with this CT200h hybrid sportwagon than they saw with the HS250h hybrid sedan that debuted last year. 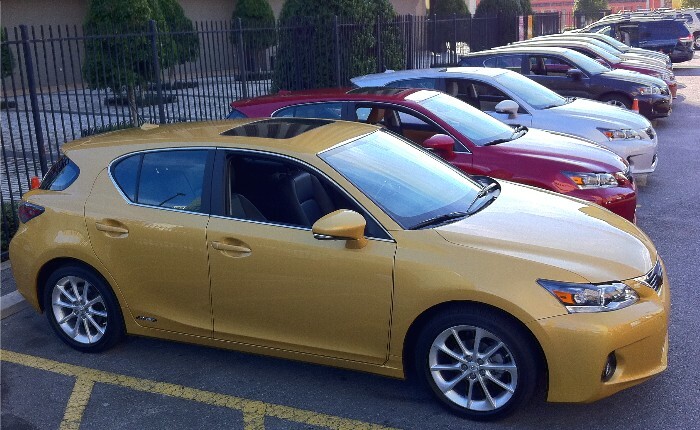 Lexus’ last sporty wagon was on the inaugural IS300 platform and was dubbed SportCross. I was assured the CT200h is not intended to be the next SportCross but the two do share bloodlines and driving dynamics. We spent some time with Lexus and the new CT200h in New Orleans recently and I was left with the impression that the CT should see more success than the HS has. For starters, the CT borrows the hybrid powertrain from the current Toyota Prius, not the case with the HS and a decision that saw critics responding in less-than-kind manner. 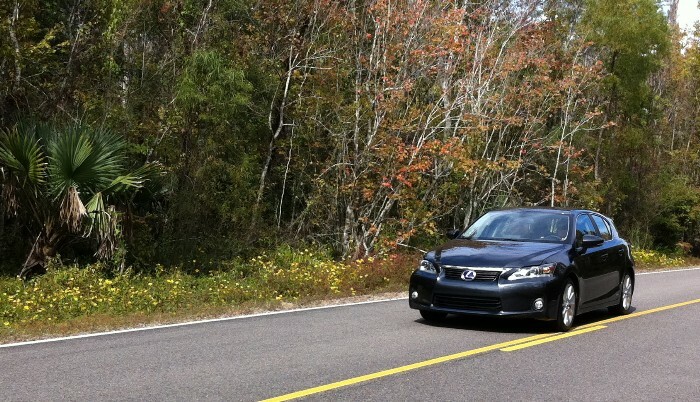 The CT200h also features four driver-selectable operating modes ranging from full Electric Vehicle (EV) mode to Sport, the choice of many of the automotive journalists invited to southern Louisiana. Drive routes took us from downtown of the Crescent City to a twisty patch of asphalt splitting a swamp. Along the way we were able to get familiar with each of the driving models and the associated powertrain and steering tuning engineers have assigned to each. Sport mode adds a bit of resistance in the electric power steering feedback while also allowing the most electrical boost from the Synergy Hybrid System employed in Lexus’ newest offering. As with all Lexus models the CT200h features the latest technology, safety and creature comfort available from the automaker and we found ourselves not wanting for more following time in both driver and passenger seats. 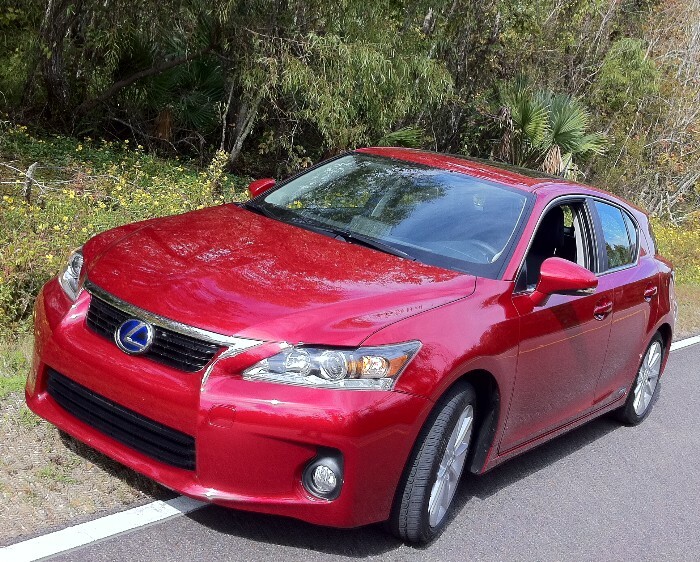 And while zipping around the swamps and city streets we kept fuel economy numbers in the 42-45 mpg range. 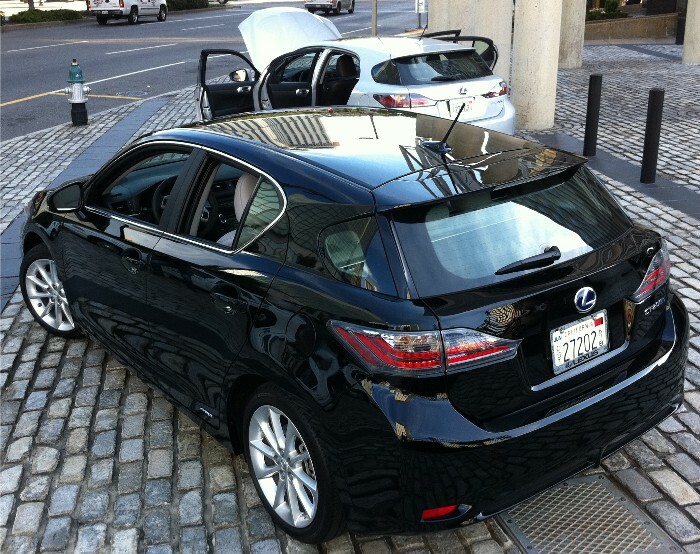 Lexus plans delivery around February of 2011, a time when several automakers will be enjoying sales figures from electric and plug-in hybrid models. When asked if the CT will accommodate plug-in technology the next Prius will arrive with Lexus representatives on hand in New Orleans responded simply by saying anything is possible. What they did respond clearly on was that they plan to sell 1,000 units per month and pricing will be somewhere in the 32-grand range. CT will be the fifth hybrid in the Lexus lineup when it goes on sale and they hope it plays a key role in bringing new buyers to the brand. And despite it being billed as a hybrid “CrossTourer” the new CT200h plays the role of a next-generation SportCross quite well.